Some clichés are ubiquitous. Take ‘Home is where the heart is’ – it’s one of those sayings where, once you start to look, you find it everywhere: from cushions, plates and plaques in gift shops, to sachets of lavender, embroidered samplers and biscuit tins. These objects, however commonplace, suggest the positive connotations invested in ‘home’, as a word, concept and place that is routinely defined by notions of comfort and contentment. Adrian Green’s paper at the V&A/RCA History of Design seminar greatly enriched our understanding of how much houses reveal about the people and society that built them. Sharing research that is part of his forthcoming book, Dwelling in England: Houses, Society and the Market, 1550-1750, he used evidence of the construction techniques, floor plans and interior decoration found in ‘middling-sort’ houses in Durham and North-eastern England to track the changing meanings invested in the home from the mid-16th to the mid-18th century. Using key examples from Green’s talk, this post offers a series of historical ‘snapshots’ to highlight his interpretation of what buildings might tell us about the people that owned and built them, and about the wider social, cultural and economic worlds beyond their walls. 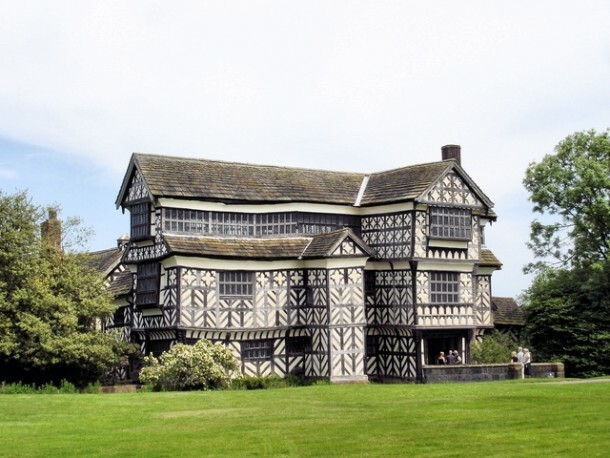 Little Moreton Hall, built for landowner William Moreton in the early 1500s, exemplifies what Green termed the ‘National Merchant manner’ of the 16th and 17th centuries. It was the product of the new wealth and social mobility evident in the period, which allowed some people from below the nobility to make their fortunes by means of trade, investing in land, or as part of an expanded state bureaucracy. Significantly, Little Moreton Hall shows how the family’s fortunes continued to flourish. Moreton’s son, also William, subsequently expanded the property and had his name inscribed above the windows that overlooked the inner courtyard. Identifying marks, like names and heraldic devices, can be found throughout houses from this period. The Middleton family had their names inscribed above the doorway of their Northumberland property Belsay Castle, while another family, the Stricklands, used decorative plasterwork to commemorate their marriage. Not all houses managed to showcase their owner’s wealth. Gainford Hall, rebuilt for the Reverend John Cradock in the early 1600s, clearly illustrates the practical considerations that could undermine the ambitions of builders. Lack of funds meant Cradock had to abandon his original plan to use costly stone and, instead, used water-worn boulders from the river to build his new home. To the untrained eye, the building looks presentable, with its rows of chimneys, a contemporary marker of wealth, but some work, like the east-wing staircase, was noticeably left undone. In the 17th and 18th centuries, changes in architectural style continued to reflect wider historical changes. 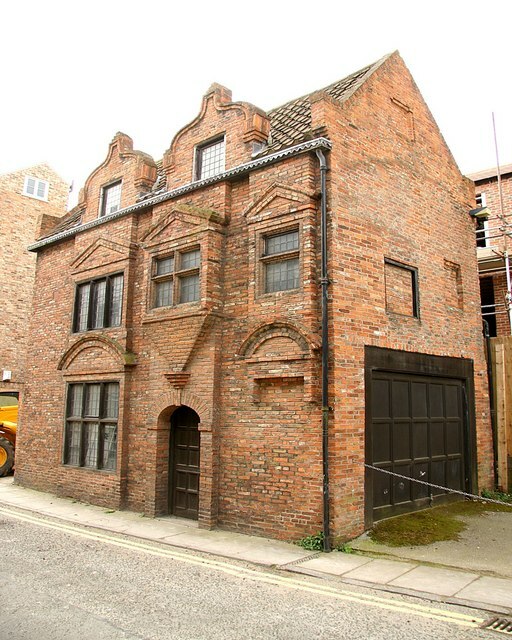 The Dutch House in York, with its triangular curved gables, shows how expanding mercantile trade brought new design ideas, as well as new goods, to England. Dutch gables also proliferated further north in Durham. Here, the presence of this architectural style highlighted expansions in the coal industry in the late 17th century and the corresponding strengthening of ties with London. Northern coal entrepreneurs visited the capital more frequently, returning home with fashionable architectural and design ideas, such as Dutch gabling. 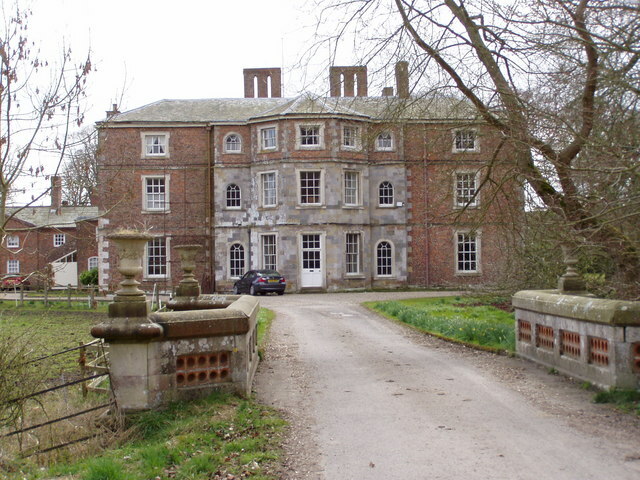 Boynton Hall in Yorkshire is a very different proposition. Built in what Green described as the ‘Georgian order’, its bay windows and symmetrical layout were characterised by regularity and uniformity. 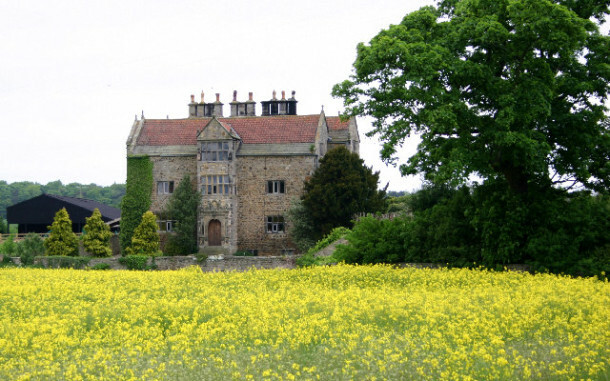 While the ‘National Merchant manner’ of the 16th and 17th centuries had been determined by an individual family’s income and architectural idiosyncrasy, as at Little Moreton Hall, Georgian property development was shaped by very different economic contexts. Most notably, speculative building projects, like those of Nicholas Barbon, offered homes that could be sold through the market. Employing a much more standard exterior, these houses arguably contributed to a sense of ‘social order’. The rich continued to use their homes as showcases for taste and wealth. Boynton Hall, built after a design provided by Lord Burlington, was a case in point. Burlington, one of the most fashionable architects in the early 18th century, had refined his architectural ideas during tours of the Continent, when he had developed a particular enthusiasm for the work of the 16th-century Italian architect Andrea Palladio. The Palladian style became hugely popular with wealthy builders in England during the early 18th century, even being taken up by prospering farmers to rebuild their homes. Each of these architectural ‘snapshots’ shows how much buildings can tell us about social, cultural and economic contexts. And, as the example of poor Reverend Cradock at Gainford also illustrates, buildings can provide valuable insights into the ambitions and aspirations of builders, even when these remained unfulfilled. Major changes in architectural style – such as the uniformity that characterised the ‘Georgian order’ – prompt further questions about shifts in the social and cultural ‘messages’ buildings were meant to convey. Adrian Green’s seminar made me wonder how changes in the exteriors of buildings might have affected their interiors. Here, in particular, I would be interested to know how people asserted their identity through the building of their homes, and how this differed from the earlier periods. Home may well be where the heart is but, as this piece has shown, it is also the site of compelling architectural and design historical discussions. The V&A/RCA History of Design Research Seminars return on Thursday 22 January 2015 when Professor David Matless (University of Nottingham) presents, ‘In the Nature of Landscape: Cultural Geography on the Norfolk Broads’. Further details of all seminars in the programme can be found here.